With the running of the $200,000 Group 1 Windsor Park Plate at Hastings on Saturday, we are reminded of two outstanding horses to come off the farm – International Group 1 winner Starcraft and our very own Daffodil. The Starcraft story begins back in 1999 when Garry Chittick had a service to Haunui Farm shuttle stallion Soviet Star. Not knowing what mare to send, he eventually settled on the very big Pompeii Court mare Flying Floozie. Although she was only placed on the racetrack, she came from one of Waikato’s best families and was a half sister to Group 2 (now Group 1) Te Aroha Breeders Stakes winner Zephyr Magic and South African Group 2 winner Happy Heiress. He was quite a big yearling and immediately took the attention of Auckland Bloodstock agent Robt Dawe who purchased him on behalf of Paul Makin for $80,000 at the 2002 Premier Yearling Sale at Karaka. He joined the stable of Gold Coast trainer Gary Newham where he was placed in two of his three starts as a two-year-old, breaking his Maiden at start number five. After winning three in a row in Queensland, he was sent to Melbourne and we saw a glimpse of what was to come when he came from last to win the Group 3 Debonair Stakes at Flemington. He ran the unbeaten Reset to half a length in the Group 1 Australian Guineas before beating the older horses at Weight-For-Age in the Group 1 Chipping Norton Stakes. Starcraft then won the Group 2 Tulloch Stakes a week before saluting in the AJC Derby. Regarded as one of the best horses in Australasia, he was set for the Cox Plate. Paul Makin who wasn’t adverse to doing things ‘differently’ decided to return him to his birth land to compete in the three Group 1’s at Hastings. He was brilliant winning the Mudgeway Stakes (now Tarzino Trophy) over 1400m and went into the Stoney Bridge Stakes (Windsor Park Plate) a very short price favourite. Although not as impressive as the start before, he still proved too strong for Group 1 winner Miss Potential. After this run he was beaten into second place in the $1 million Kelt Capital Stakes (Livamol Classic). He returned to Australia and after being placed in both the Yalumba Stakes and Cox Plate (to Champion Sire Savabeel) Makin decided to send him to England and joined Luca Cumani’s stable at Newmarket. He was placed first up in the Group 1 Queen Anne Stakes at York and became the first New Zealand bred European Group 1 winner when winning the Group 1 Prix du Moulin de Longchamp in Paris. He then defeated the Champion Sire Dubawi in the Group 1 Queen Elizabeth II Stakes over 1600m before being set for the Breeders Cup Classic in America. After seemingly not handling the dirt, he was retired to stud, originally standing at Arrowfield Stud before being transferred to Rosemont Stud a few years ago. 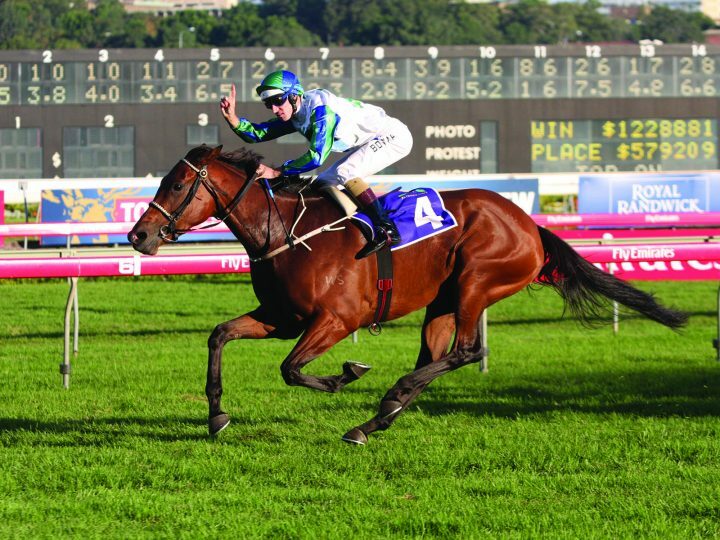 He has sired two Group 1 winners – Blue Diamond Stakes winner Star Witness and the Paul Makin owned We Can Say It Now. If is wasn’t for some very quick thinking by Mark Chittick, then Daffodil would never have existed. Her dam Spring had broken down badly when favourite for the Group 1 Bayer Classic and was about to be euthanised when Mark stepped in. It was decided that they would support her leg and get her to the vet clinic. She had her fetlock joint screwed which she broke and had to undergo another operation. $210,000. A real standout, it was decided to send Spring back to No Excuse Needed with Daffodil the resultant. With the stud deciding to keep her, she was sent down to the stables of Kevin Gray, who had enjoyed Group 1 success with the Waikato Stud-owned/bred Legs. Having three runs as a two-year-old, she was able to win at Trentham in April. Given a spell to prepare for the Spring, she resumed with a second placing at Listed level at Wanganui before another second placing in the Group 3 Gold Trail Stakes (also run on Saturday). She was then set for the Group 1 One Thousand Guineas at Riccarton which she won very impressively. She was kept in work and aimed at the Group 1 New Zealand Oaks where she would start a well-backed favourite. After being slow away, she hit the line strongly for fourth and as she pulled up so well, it was decided to carry on for the AJC Australian Oaks at Randwick. Ridden by an up and coming Hugh Bowman, she proved a class above, winning by over two lengths. Given a spell, she returned to the track and was given a couple of lead up runs before the Windsor Park Plate on the middle day of the Hawkes Bay Carnival. Ridden by Hayden Tinsley, she settled back in the race but once she was able to get to the outside in the straight, she powered home to win with conviction. She rounded out the preparation with a fourth placing in both the Kelt Capital Stakes and Caulfield Cup before an unlucky 11th in the Melbourne Cup.